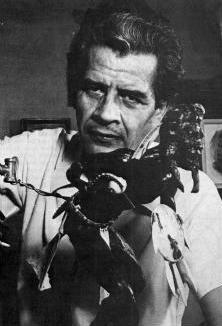 Noted Indian sculptor Saint Clair Homer II was born and raised in Oklahoma. He served with Patton in WWII and studied art in Rome after the war. His grandfather was secretary of the Choctaw tribe at one time. His German mother taught art in Sand Springs in the 1970s while in her 70s. 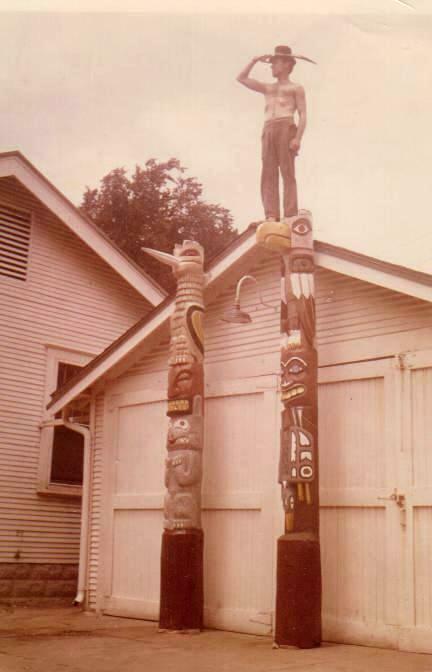 Homer made a living carving cigar store Indians and and selling them out of his '51 Cadillac in the Southwest of the late 1950s. His stylized bronzes have been shown at Gilcrease. 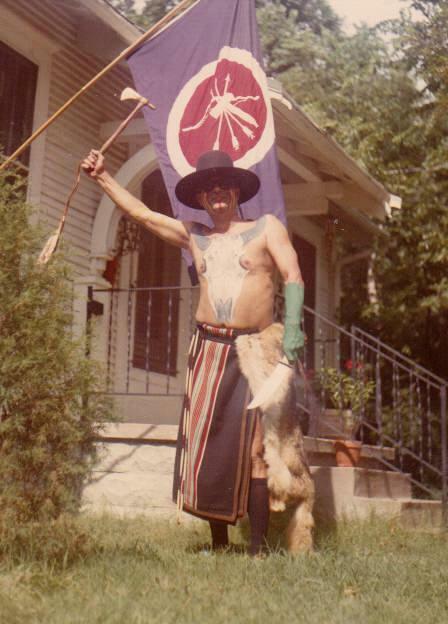 He was named one of nine master artists of the Five Civilized Tribes in 1976. 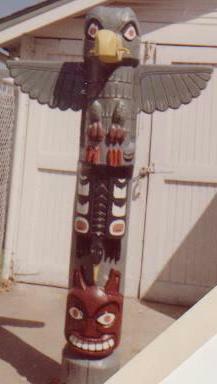 He signed his pieces "Homma", Choctaw for "Proud Red". Saint Clair Homer II in "full warpath mode"